As they did with their Calibre 111, Oris have chosen Baselworld to debut their latest in-house produced movement, with the Calibre 114, in their ever popular ProPilot collection, being launched at Basel 2018. It’s the fifth Oris-made movement to be introduced into their catalogue since 2014. This one comes with all the fun of the Calibre 111 and adds a GMT hand to the centre of the dial. Because, really, what better complication is there for a pilot’s watch? Not much has changed style-wise with the case of this latest ProPilot. It still measures 44mm across, is water resistant to 100m, and features that defining milled coin edge bezel and an oversized crown. The biggest difference is within. Inside is their brand new manual wind calibre with date, small seconds, a 10-day power reserve, and added centre GMT function that will also support half-hour time zones. Looking to the dial and there are two colours to choose from: an anthracite with sunray polish, and a matt black. Both with applied Arabic numerals printed with lume, a date window and small seconds subdial at 9 o’clock, and the familiar power reserve display at 3 o’clock. At the tip of the centre GMT hand is a pop of red, which is complemented by red on the power reserve and single line of text at the bottom of the dial. There’s also the choice of a stainless steel bracelet or a dressier leather strap option. 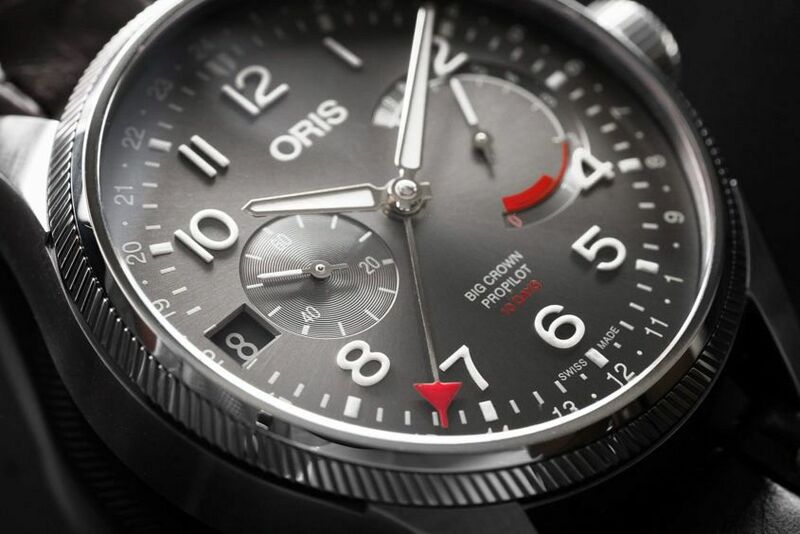 The ProPilot collection from Oris is home to some of their most technical and ruggedly useful designs. 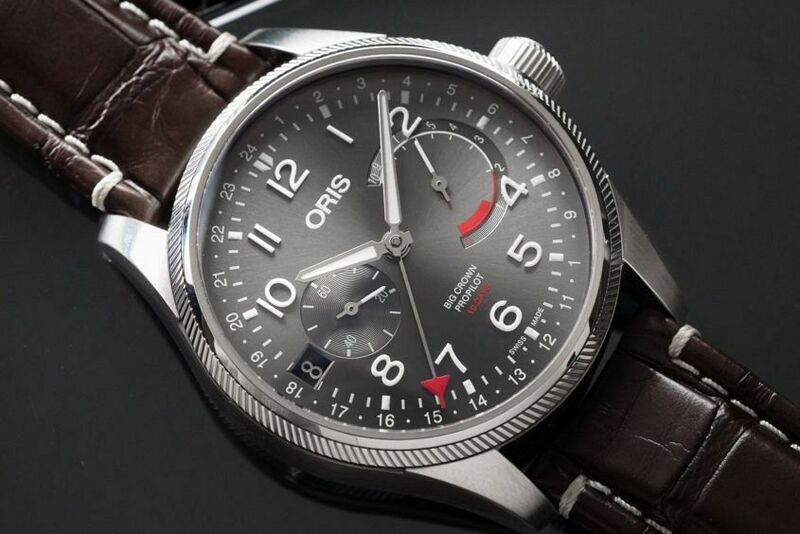 It’s a collection that I always found showcased Oris’ ability to produce functional tool watches that also brought some heat in the style department. And overall, I think this handsome new addition is a noticeable flexing of their mechanical savoir faire.